All lights include sturdy stands. FreeStyle 31 has optional Soft Case or Hard Case. FreeStyle 41 and Celeb 850 have an optional Hard Case that can be added to your order. With the "white menu," the light provides high quality illumination over a Kelvin range from 2700K tungsten to 6500K daylight, and is dimmable over a 150:1 range. Additional menu options for studio photographers allow operation over a Kelvin range of 2500K tungsten to 9900K daylight, the simulation of blue & green screens, sodium vapor and mercury vapor lamps, over 100 well-known lighting gels and, and a wide range of RGB settings. 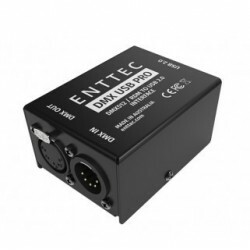 The lights come with standard DMX and wireless DMX (Lumen Radio®), 24VDC input, and universal voltage input 100-240VAC (1.25 Amps at 120VAC). 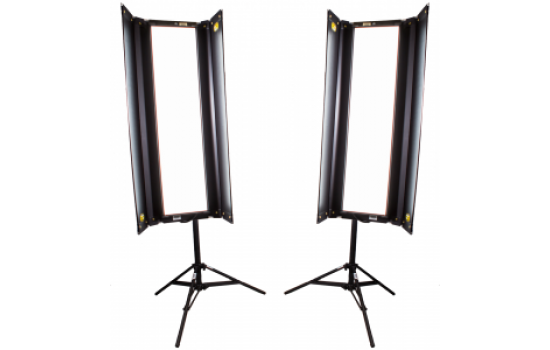 The Imatest Low Light Filter was designed specifically for the Kino Flo Freestyle 31 LED fixture. The filter increases dynamic range from 437:1 to 35,000:1 and allows testing at extremely low light settings. 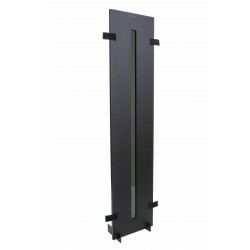 (103 x 28 x 9cm w/16.5cm barndoors) 37 x 8.5"
(133.4 x 22.9 x 10.2cm w/15.3cm barndoors) 49.5 x 7.5"
Celeb 850 LED DMX 23040 at 0.5 meters 45 x 25.5 x 6"
(114 x 65 x 15 cm) 44.5 x 22.5"
Freestyle LED Data Sheets: (pdf) for Freestyle 31 LED DMX, Freestyle 41 LED DMX, and Celeb 850 LED DMX.